We recently spoke with William A. Aniskovich, JD about Albertus Magnus' Online MBA programs, which offer both 100% online or a flexible hybrid, with some classes online and some on-ground. What type of student typically enrolls in Albertus' MBA program? The Albertus MBA is the fastest growing and largest of our graduate programs. Typically, our program attracts individuals some business experience and a desire to pursue a graduate degree to advance their career. Employers increasingly require or strongly suggest a graduate degree for promotion consideration and this is a big factor in the student decision to attend. Because of 5-year MBA option for undergraduates, our program is also attractive to undergraduates at Albertus and results in a mix of students currently in careers and those still in the traditional education program. Are students required to spend time on campus or does Albertus' new Flex program allow 100% online participation? 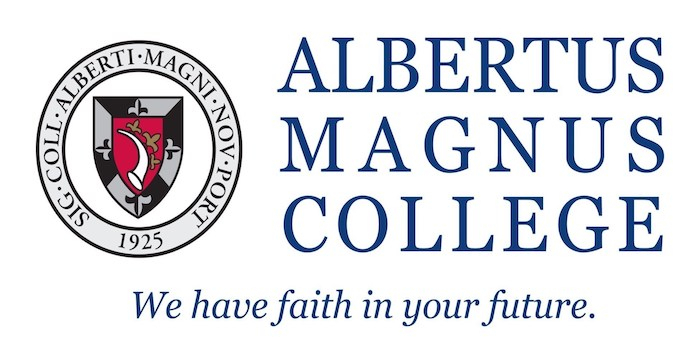 Do students at Albertus Magnus’ MBA work as a cohort or in another way? We are currently teaching out the cohort-style option in our New Dimension Program and so that option is no longer available. Instead, ADP students choose and plan classes individually (no cohorts). The MBA program does include several group projects which allow Blended and Online students to interact together. The basic form of interaction for Distance Learning students will be online in email or via the eLearning online course portal system that we use to offer our courses. In addition, many faculty offer opportunities for participation and feedback for online students through the BlueJeans platform that permits cloud-based video access for asynchronous learning experiences. Faculty also maintain virtual office hours and many extend feedback opportunities via telephone and individual contact. The most distinctive features of our MBA at Albertus include: a talented faculty of instructors with real-work business experience, small class size, and the FLEX format option that allows for the ability to take a class on-grounds should the need or desire arise. Speak to someone who has attended our Program. Alumni are our best ambassadors! Contact the Admissions Office as soon as you think you are ready and let our staff help you plan your class schedule and answer questions. Don’t take too long to decide on an area of concentration (most do so within the first two Mods). Meet (online or by phone/email) with your assigned advisor as soon as you can. Once here, pay close attention to the syllabus and never fail to ask for help and assistance when you feel you need it. The faculty and staff here truly care and are invested in your success. Of the 6 specializations that Albertus offers (Accounting, General Management, Health Care Management, Human resource Management, Leadership or Project Management)—which are most popular when taken online or via the flex program? All students begin with a "generalist" concentration and after one or two mods declare a specialization. We find that the selection of a specialization correlates to the interests of the student, their chosen career path and/or the courses they have taken at the start of their MBA career. What is the average class size of your Online MBA program classes? How many students signup in each of the five start up windows? The largest number of starts occur in Mod 1 and Mod 3. These are the Mods that occur at the beginning of the traditional fall and spring “semesters.” Those two Mods average about 23 sign-ups each, with the fewest starts found in Mod 5 (the summer Mod).